A Moving Moment: It wasn’t really THAT much fun! 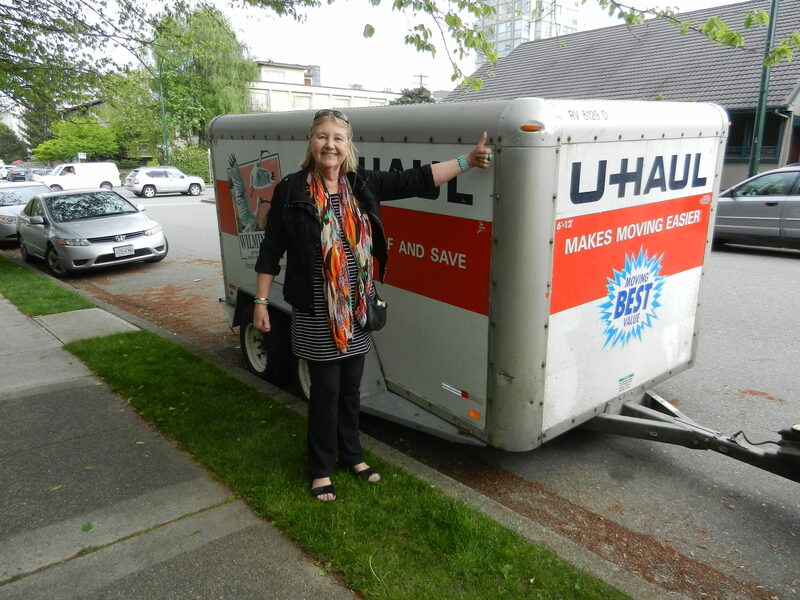 Packing up 30 years of hard living in Vancouver turned into a marathon of planning, packing and asking for help (which I got, via my sons, friends, neighbours, passing strangers). The emotional uncluttering that goes along with the physical kind is ongoing, and things are still getting sorted. I discovered that I own way, way too much crap. Apparently, that’s a common experience when moving. I’m promising not to buy another thing for at least one year. Let’s see how that goes. I’m not a hoarder, but still, why do I, we, anyone, need so much? A question to ponder. But meanwhile, it’s spring in Victoria and the city is bursting with flowers and good will. Living in a much smaller place has its benefits. Not missing the big smoke as yet. Not planning on moving again for the next 30 years, either.